1. Initial Contact and Interviewing Clients. 2. Ceremony Formatting and Writing Content (incl love story) Wedding , Vow Renewal and Naming ceremonies. 3. Getting the Timings Right. 4. Presentation and Public Speaking Skills. 5. Role Plays and Assessments. 6. Business Planning - how to put a business plan together. Ongoing support and help. 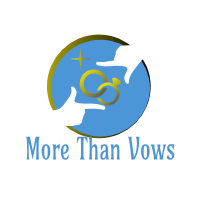 Listed on More Than Vows site as a recommended Celebrant (1year free) Referrals. Join the Exciting and Positive World of being Celebrant Today.